Intel will announce SuiteTwo today, a product that brings together a number of Enterprise 2.0 apps into an integrated suite. 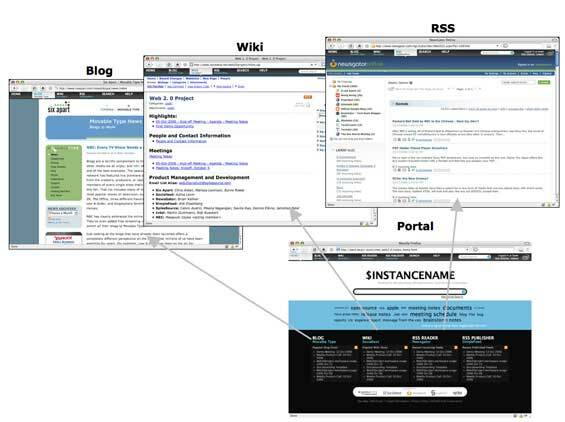 The four products that are included in the release are MovableType from SixApart, SocialText, Simplefeed and Newsgator. The suite will allow companies to easily install, setup and integrate these products and will be available in both a self-hosted form and also as a hosted service. With these products this suite includes a blogging platform, a wiki and apps to both subscribe to and publish feeds – giving it a real web 2.0 focus. The suite has been developed and put together by SpikeSource, which will also be supporting and maintaining the new product suite. Intel will distribute SuiteTwo through its channel partners, distributors and through direct sales. SpikeSource have integrated all the products in the suite and have included a portal which will allow users to view all the main information (via feeds) from the different product installs. The cost of the full suite will be between $150 and $200 per seat per year, which is a premium over the cost of each component individually, but SpikeSource and Intel hope that by integrating the products to make them easy to use together that they have added enough value to make the suite appealing to businesses. In addition to the per-seat license fee, companies will also need to pay licenses for the middleware applications that are needed to run the suit (the web server and the database server). The revenue from the suite will passed on to the four application providers (with a cut to SpikeSource). Intel is not taking any revenue from this product. Orders for SuiteTwo are being taken now on the website, and will be fullfilled in Q1 2007 when the suite launches. There are also plans to take the suite beyond the four products that are currently included, with a phase two release potentially including podcasting, social networking, VoIP and/or IM. This suite has potential if only because it can make it easier for businesses to adopt enterprise 2.0 products such as blogs and wiki’s, but the downside might be that all this is too much for some businesses and they may opt to adopt each of these products independently.